Kettler Cafe Napoli Iron Grey Bistro Set inc. 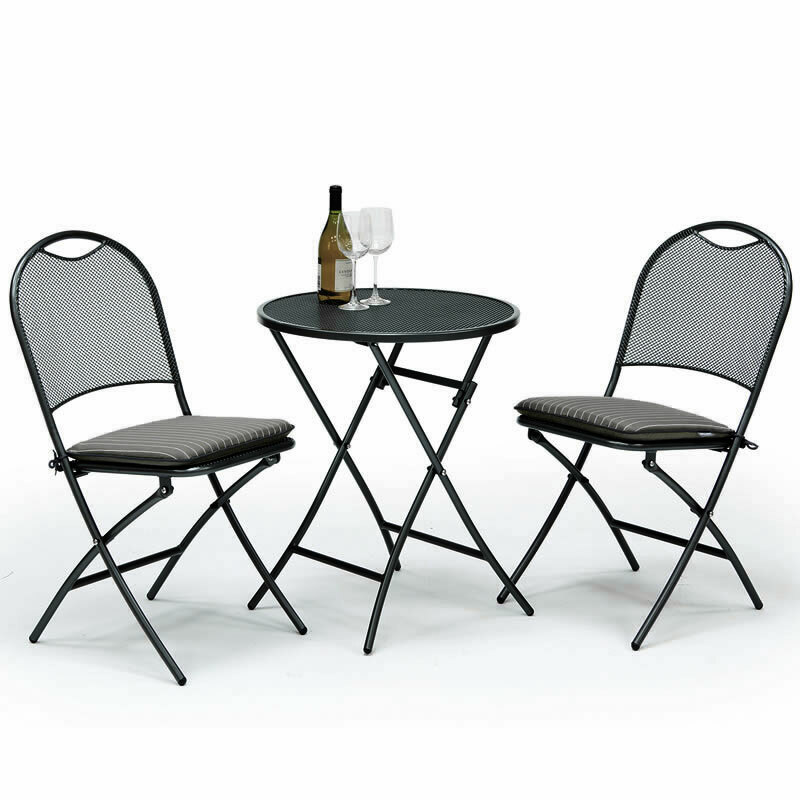 Slate Cushions provides a high quality sturdy tea-for-two patio dining suite, including folding 60cm round table and two folding chairs for easy storage. 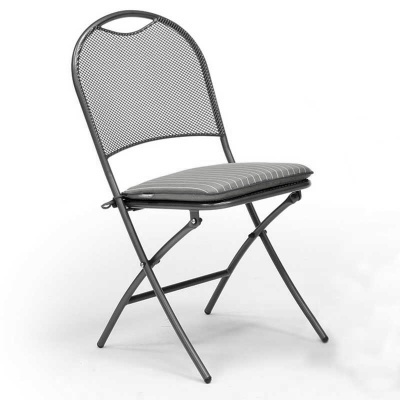 Built from highly durable yet lightweight steel, backed by Kettler's 5 Year Anti-Rust Warranty. Lightweight enough to lift for storage, the steel mesh top table is designed for sturdiness being strong enough for consistent stability in winds. 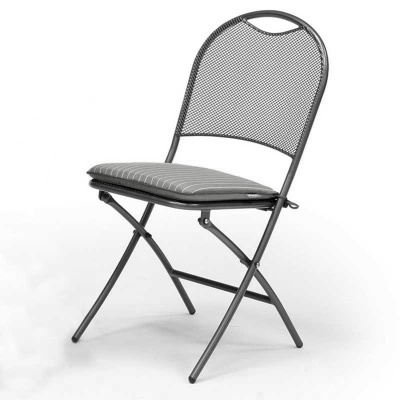 The Kettler Cafe Napoli chairs are fitted with protective foot caps and supplied with two seat pads in slate design. Kettler represents beautiful, contemporary garden furniture that will enhance and add luxury to all types of outdoor spaces, whether it’s a discreet shaded balcony or a large sun-soaked patio. Kettler pride themselves on quality, attention to detail and the blend of materials used to create all-year-round, maintenance free, contemporary garden furniture. Kettler offer an award-winning metal and wicker range to suit your style. If you are looking for outdoor casual dining furniture or sun loungers, be inspired and enjoy your garden as never before. Whether the garden furniture you are looking for is traditional or modern, stylish metal or warm wicker, you will be sure to find the perfect combination for your indoor or outdoor space. Every piece of garden furniture is constructed using only the highest quality, tried and tested materials and manufacturing processes, many of which are used exclusively by KETTLER.